Looking for the perfect way to celebrate Mother’s Day? 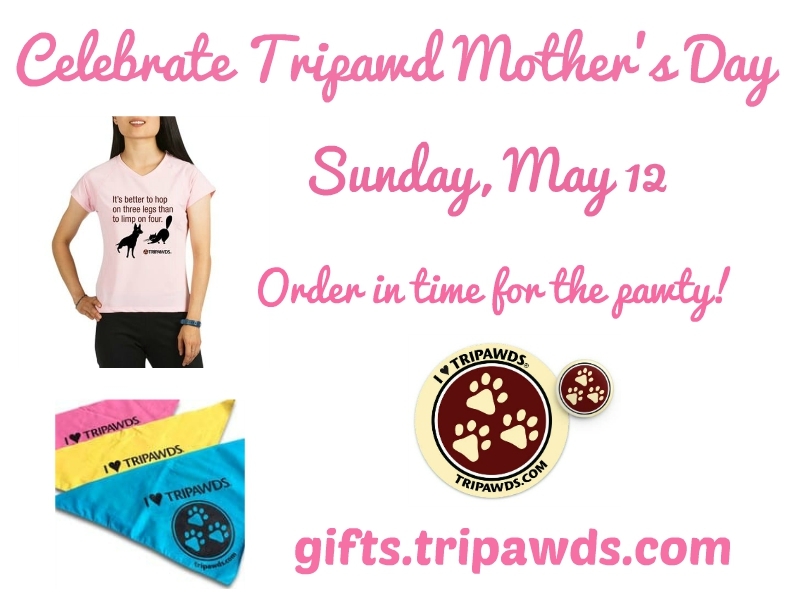 From head to toe, our Tripawd Mom gift ideas are the way to go! Hurry and get your order in with plenty of time for the May 12 celebration. Here’s some of our favorite ideas for moms of three-legged pets. Gracie flies the flag in honor of Angel Wrigley. 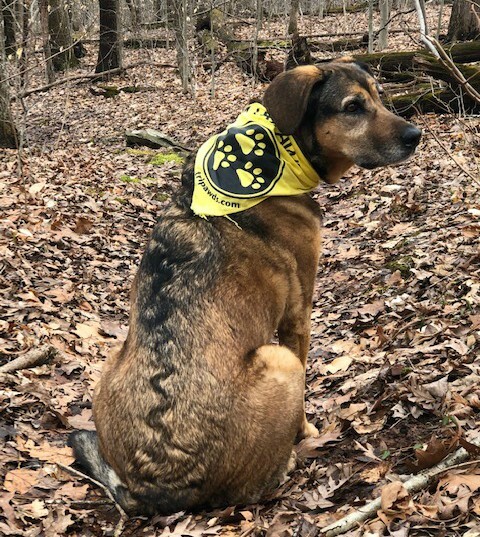 Ok, these aren’t really for a Tripawd human mom, but a name your price Tripawds Bandanna can still make a snappy little scarf don’t you think? 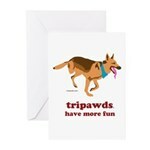 Better yet, stash one of these in your Tripawd mom gift bag to include your three-legged hero in on the fun! 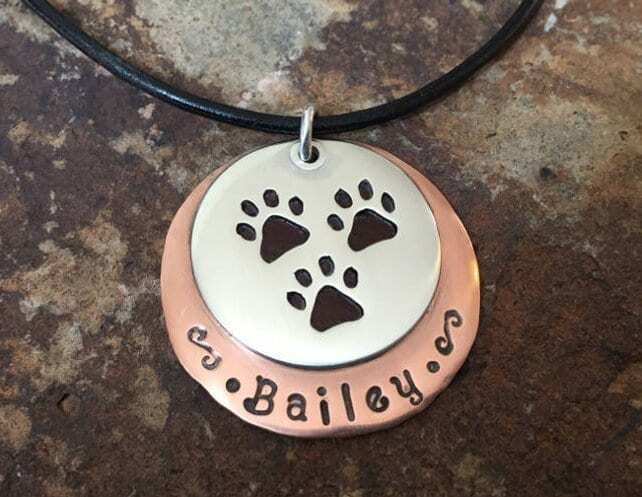 You still have time to order a custom Tripawd silver and copper pendant, 100 pawcent handmade by Tripawds c0-founder Rene. Get your order in by April 25 and you’ll have it in time for the big day. 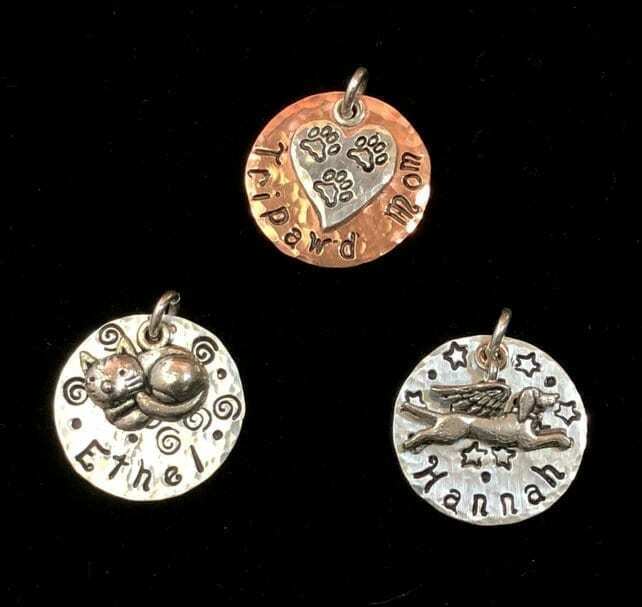 Or how about a couple of custom Tripawd charms to dangle from her favorite charm bracelet? Have you seen our selection of Tripawd t-shirts, hoodies and other clothing? 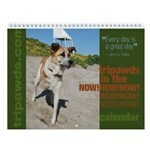 Hop on over and check out the huge selections of Tripawd Pride wearables! 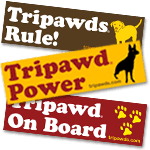 Whether she is mom to a front leg amputee dog or a rear leg amputee cat, there’s something for everypawdy in the Tripawds Cafe Press store. Let’s hear it for the pawesome Tripawd Moms of the world! They deserve to be celebrated every of the year, don’t you think? Tell us how we can make your celebration special and we’ll do our best to make it happen.